The second U.S. - North Korea summit will take place in Hanoi, the capital of Vietnam, later this month, President Donald Trump announced via Twitter on Saturday (Vietnam time). 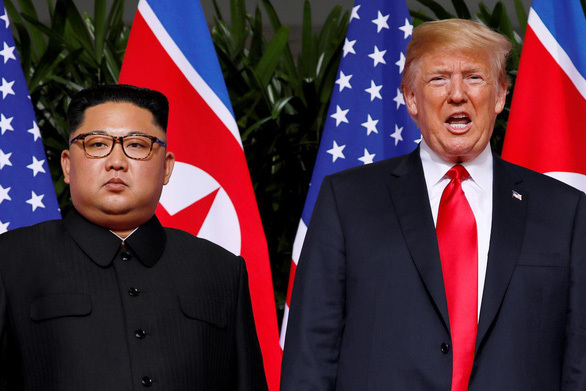 Vietnam was revealed as the place for the next meeting between the U.S president and North Korean leader Kim Jong-un, scheduled for February 27 and 28, during the State of the Union speech Trump delivered to Congress on Tuesday night. While the U.S. leader did not mention a precise venue then, he gave more details about the summit in a Tweet on Saturday. “My representatives have just left North Korea after a very productive meeting and an agreed upon time and date for the second Summit with Kim Jong Un,” he wrote. “He may surprise some but he won’t surprise me, because I have gotten to know him & fully understand how capable he is,” the tweet reads. The spokesperson of the Vietnamese foreign ministry has said Hanoi welcomes the second U.S. - North Korea summit planned to take place in the country. The New York Times has reported that the U.S. had been studied the possibility of organizing the summit in the central city of Da Nang, the host city of the 2017 Asia-Pacific Economic Cooperation (APEC) meetings, but the North Korean side was more in favor of choosing Hanoi. President Trump and his aides believe Vietnam, with its 1986 reform movement, can be a good example of the potential for economic development North Korea can take reference from.